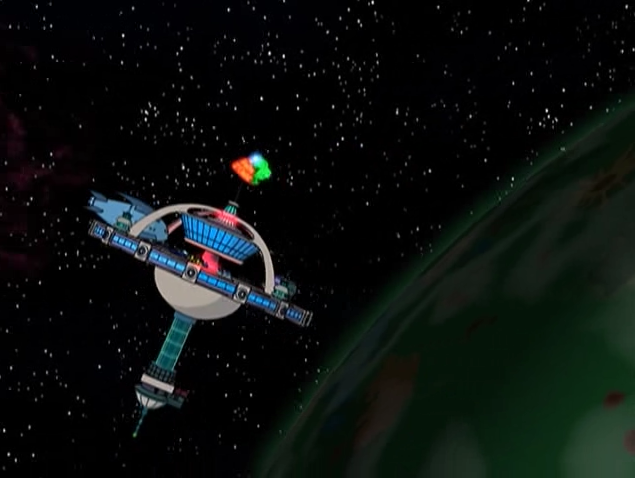 I was watching futurama yesterday and the Le Palm D'Orbit struck me as a fun concept. How would you go about building a orbital restaurant like the Le Palm? What kinda shape would allow the space needle like shape to have gravity in the dinning room and the apartments, but for my own twist, zero gravity sections for a zero-g dance club and then a loading dock for cargo ships? I'd prefer if the dining room could still be facing "up" towards earth with the view of earth being the ceiling for the dining room. If that's not possible screens will do. But of course, as Stephan already mentioned, this would require our Palm to rotate sideways around earth(as if it was "rolling" on the atmosphere), so you would have to simulate the nice view to the earth by using displays - or, as Stephan proposed - mirrors. Not the answer you're looking for? Browse other questions tagged science-based reality-check space-constructs or ask your own question. How would we build Earth Mark II? How would one build a refrigerator to survive a nuke? Can you build an interferometer between the stars? Does it makes sense to build a “space tower” in Indonesia and Brazil?